Most of us would love it if we could eliminate the time it takes to get to and from work. It would be nice to walk out of our office and be instantly on our own time, running our own errands, catching little league games, or helping prepare dinner. But we can’t—we have to spend 30 minutes in traffic or on the train first. Or can we? According to the US Census Bureau, the average commute time across the nation is 25 minutes, but many of us spend much more time than that. It can feel like a giant waste. Losing an hour or more each day to your commute translates to roughly 250 hours each year. That’s ten and one half days lost. We receive no compensation for the time we spend on the road, so it’s up to us to make it worth our while. But here’s the good news—making your commute time productive is simple and even fun. Here are some great ways to turn your commute time into you time. If you drive, make your car comfortable. Schedule regular vehicle cleanings in your planner so you’re never buried in clutter. It simply feels better to drive a clean car. Plan regular oil changes and tune-ups to keep your car in the best condition possible. Keep those appointments in your planner so you don’t forget. Your vehicle registration is due at the same time each year, but it’s easy to put it off until the last minute. Write a reminder in your planner so you can be sure your safety inspection and registration never expire. Make a list of books you’d like to read and see if you can find audio versions online or at your local library. Spending time with a good book is almost always rewarding. If you have errands to run, schedule the stops along your way. It may increase your commute time, but you’ll be doing things you want to do for yourself, so your commute will be swallowed up in personal time. 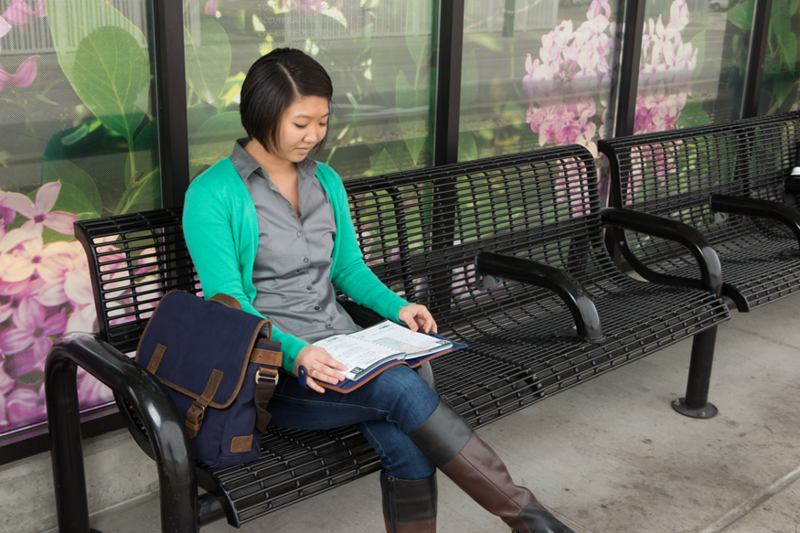 If you take the train or bus, your commute is the ideal time to plan. Planning on the road can free up time at home and help you arrive at work ready to jump into your day. Clean out your bag so you don’t have to rummage for the things you need. Load it up with your planner, a good book, headphones, charging cords, and a laptop so you can take full advantage of your time on the bus. Open up a conversation with the person sitting beside you. You’ll find that learning about others is a very rewarding way to spend your time. With just a little planning, you can increase your productivity and find yourself enjoying your time on the road. And your commute can be as short as the walk from your office to your car or bus stop. From there on, it’s all about you.